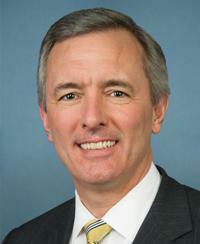 Congressman John Katko introduces bill to make student loans dischargeable in bankruptcy. Will presidential candidates endorse the bill? Last month, John Katko, a Republican congressman from New York, filed H.R. 770, a bill that would make student loans dischargeable in bankruptcy like any other consumer debt. Titled the "Discharge Student Loans in Bankruptcy Act," Katko's bill is quite simple. It merely strikes the "undue hardship" clause from Section 523(a) of the Bankruptcy Code. Congressman Katko filed the same bill two years ago. When he filed the bill in 2017, it had ten co-sponsors, including Maryland Congressman John Delaney. When Katko refiled the bill last month, he only had two co-sponsors. If H.R. 770 becomes law, millions of Americans who are overwhelmed by student loans will get relief in the bankruptcy courts. They will have an opportunity to start families and buy homes. They will get the fresh start that bankruptcy is intended to provide. Let's make Katko's bill the litmus test for everyone who is running for president or is thinking about running. Let's ask them one simple question: Do you support Katko's bill or not? President Donald Trump, do you support H.R. 770? Senator Elizabeth Warren, do you support Katko's bill? Senator Kamala Harris, do you support H.R. 770? Senator Bernie Sanders, do you support Katko's bill? Former Vice President Joe Biden, do you support H.R. 770? Senator Kirsten Gillibrand, do you support Katko's bill? Senator Amy Klobuchar, do you support H.R. 770? Michael Bloomberg, do you support Katko's bill? Beto O'Rourke, do you support H.R. 770? John Delaney, former Maryland congressman who co-sponsored Katko's bankruptcy-relief bill in 2017, you are now running for president. Do you support Congressman Katko's bill? Our federal legislators are fond of holding committee hearings where they bully witnesses by demanding yes-or-no answers to all their hectoring questions. Well, here is a question to everyone who wants to be president, and we should demand a yes-or-no answer. Unless a presidential candidate can say "Yes, I support H.R. 770 without qualification," that person is nothing more than a windbag who doesn't care about average Americans and does not deserve our vote. Note: I am grateful to Phil Uhrich for calling this bill to my attention. Mr. Uhrich wrote a provocative essay on national politics in 2016 that is still timely. As the world changed, we reverted to social divisions that we'd thought were obsolete. . . . A plain majority of the townspeople were laborers now, whatever in life they had been before. 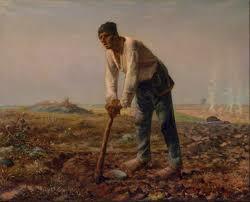 Nobody called them peasants, but in effect that's what they'd become. American higher education is the emperor who wears no clothes. College leaders boast that our nation's universities are the envy of the world while they rake in so-called federal "student-aid" and parade about in medieval regalia peddling worthless degrees. And America's young people are the losers. They've been gulled into thinking they can gain a middle-class lifestyle by getting a college degree and maybe a graduate degree as well. But millions are finding that their college degrees gained them little more than massive debt. And those online MBAs and doctorates they purchased with borrowed money--just junk. According to the Federal Reserve Bank, outstanding student-loan debt reached $1.56 trillion last January. Around 45 million Americans have student-loan obligations and 7.4 million are enrolled in long-term repayment plans that stretch out for as long as a quarter of a century. As Secretary of Education Betsy DeVos admitted with shocking candor last November, only one out of four student borrowers are paying off the principal and interest on their loans. It is now well documented that student-loan debt is contributing to the nation's declining birth rates--now near a record low. People can't afford children because they're paying off student loans. Young people can't afford to buy homes, they can't save for retirement, they can't pay off their debts. Their liberal arts degrees, their shoddy law degrees, their fluffy MBAs and doctoral degrees qualify them to become baristas and clerical workers. We are now in the early stages of the 2020 presidential election season, and what do our politicians talk about? Russia, border walls, free health care, and the Green New Deal. We should be discussing the New Raw Deal--the deal our government and our universities have imposed on guileless young people. For too long, Americans have bought the line that our colleges and universities operate for the public good and that the people who run them are wise and kindly. We particularly revere the ivy league colleges where we get nearly all our prune-faced Supreme Court justices and most of our presidents. But if the folks who run Harvard are so goddamned wise, how could they have fallen for Elizabeth Warren's scam that she's a Cherokee? And if our elite college leaders are sensitive and kindly, how did little boys wind up getting raped in a Penn State shower room? And how could dozens of female athletes get groped by Larry Nasser while he was on Michigan State's payroll? No, let's face the truth. Many American colleges and universities are not run by wise and kindly people; most are run by administrators who are primarily concerned with the bottom line. And far too often, higher education is not preparing young Americans to enter the middle class. On the contrary, by forcing people to take on oppressive levels of debt to get a college degree, colleges are setting up millions of Americans for a lifetime of peasantry. Senator Elizabeth Warren has had a brilliant career. She grew up in Oklahoma, went to law school, and wound up on the Harvard Law School faculty. Now she is in the U.S. Senate, and pundits say she may run for President in 2020. Impressive! Somewhere along the way, Senator Warren represented that she had Cherokee blood, although she never provided a shred of evidence to support that assertion. Her claim may have been a factor in getting that cushy Harvard Law School job. But Harvard says no, and Harvard always tells the truth. Nevertheless, Harvard Law School claimed it had a Native American professor while Warren was on the faculty, without identifying who it was. (To be fair, it may have been Alan Dershowitz). If Warren misrepresented her heritage to advance her career, we can't be too hard on her. Higher education is a rough business, and Warren certainly played the game better than I did. And, as the song goes that Willie Nelson made famous, Liz only did what she had to do. But Warren is a senator now, and she has an obligation to do some good for the American people. She claims to be an advocate for distressed student-loan debtors, but what has she done for them? She's written letters to the Department of Education and spouted a lot of nonsense about the "obscene" profits the government makes off the student-loan program. More substantively, she co-sponsored a bill in 2015 to protect seniors from having their Social Security checks garnished, but the bill never became law. In my view, Senator Warren could do more to address the student loan crisis than file bills and write letters. Specifically, she should join with other progressives in the Senate and press for Senate hearings on the student loan guaranty agencies and Educational Credit Management Corporation in particular. ECMC is perhaps the federal government's most ruthless debt collector and has amassed a billion dollars in unrestricted assets, at least partly from hounding destitute student debtors. In the Bruner-Halteman case, for example, ECMC garnished the wages of a bankrupt Starbucks employee 37 times in violation of the Bankruptcy Code's automatic stay provision. A Texas bankruptcy slapped ECMC with $74,000 in punitive damages. And in the Hann case, ECMC continued trying to collect on a woman's student loans even though a bankruptcy court had discharged those loans on the grounds that she had paid them off. ECMC only got stung with a small penalty for that misbehavior. Rafael Pardo and the Century Foundation both established that the federal government is paying ECMC's attorney fees, and ECMC is using its attorneys to ground down overburdened student borrowers in the bankruptcy courts. Many of these destitute people don't have the money to hire a lawyer, but ECMC is paying its lawyers as much as $300 an hour. The public has no idea what ECMC has been up to, and Senate hearings could shine some light on this sleazy organization. 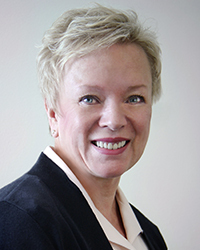 How much is ECMC paying its CEO, Jan Hines, and its other senior executives? What is ECMC doing with its wealth? Why does the Department of Education pay ECMC's attorney fees to engage in what Rafael Pardo described as "pollutive litigation"? Senator Warren could do a great deal of good if she would use her powers of persuasion to get the Senate Banking Committee to hold hearings on ECMC's shady activities. In fact, if Senator Warren got the opportunity to ask ECMC executives some tough questions, I'll bet she could bring this rotten outfit down. Senator Warren needs to accomplish something tangible to address the student loan crisis if she wants people to regard her as a consumers' advocate. If she doesn't accomplish something soon, Americans will be forced to conclude she is not really a progressive, just as we know she's not really a Cherokee. How much does ECMC pay its CEO, Jan Hines? Bruner-Halteman v. Educational Credit Management Corporation, Case No. 12-324-HDH-13, ADV. No. 14-03041 (Bankr. N.D. Tex. 2016). Hann v. Educational Credit Management Corporation, 711 F.3d 235 (1st Cir. 2013). John Hechinger. Taxpayers Fund $454,000 Pay for Collector Chasing Student Loans. Bloomberg.com, May 15, 2013. Joshua Hicks. Did Elizabeth Warren check the Native American box when she "applied" to Harvard and Penn? Washington Post, September 28, 2012. Rafael Pardo. The Undue Hardship Thicket: On Access to Justice, Procedural Noncompliance, and Pollutive Litigation in Bankruptcy. 66 Florida Law Review 2101 (2014). Brian Walsh. Elizabeth Warren is Rewriting American History. U.S. News & World Report, April 22, 2014. Senator Elizabeth Warren grills Wells Fargo CEO John Stumpf. But hey, Liz: What have you done to help solve the student-loan crisis? Senator Elizabeth Warren made headlines this week when she grilled Wells Fargo CEO John Stumpf at a Senate Banking Committee hearing. Unless you've been living under a rock, you know Wells Fargo employees were caught scamming customers by creating 2 million fake bank accounts without their customers' knowledge or approval. In the wake of this scandal, Wells Fargo fired 5,000 low-level employees and refunded some money, but the company did not terminate the senior executive who supervised the unit where the fraud occurred. Wells Fargo's CEO John Stumpf made millions of dollars from these misdeeds because the scheme caused his stock to go up. But Stumpf isn't giving back any of his ill-gained profits. So Stumpf was a sitting duck when Senator Warren began questioning him at the Senate Banking Committee hearing. "You should resign," Warren told Stumpf. "You should give back the money that you took while this scam was going on, and you should be criminally investigated by both the Department of Justice and the Securities and Exchange Commission." Stumpf, of course, is lawyered up. He went into his flak-catcher crouch, continually repeating his talking points and saying he was sorry for Wells Fargo's misdeeds. All great theater. Who doesn't enjoy seeing a transnational financial executive publicly humiliated? But what will come of all this drama? Nothing. Stumpf won't face criminal charges, and the Wells Fargo senior executives who profited from the fake-account scheme won't give back a penny of their loot. Elizabeth Warren enjoys a great reputation as the champion of consumer rights and the friend of the little guy. But what tangible thing has she done to help working-class Americans? And more particularly, what has she done to ease the suffering of millions of student-loan debtors? I'll tell you what Warren has done--she's done nothing. She's all blather. In fact, I don't think Warren even understands the student-loan crisis. She charged awhile back that the government is making "obscene" profits from the student-loan program, but that's not true. The government would be making a profit on the loan program if borrowers were paying back their loans, but they are not. As the Wall Street Journal reported recently, 40 percent of student-loan borrowers aren't making payments on their loans. Here are some things Senator Warren could propose that would help relieve the suffering of distressed student-loan debtors. Legislation banning the government from garnishing the Social Security checks of elderly student-loan debtors who defaulted on their loans. Around 155,000 Americans are having their Social Security checks dunned right now, causing real hardship for these people. And how much money does our government collect from this disreputable practice? Probably less than the Secret Service spends guarding President Obama on just one of his Hawaiian vacations. 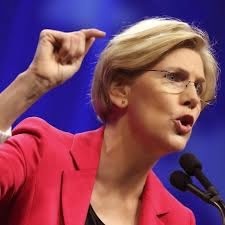 Why doesn't Senator Warren use her bully pulpit to stop the government from going after elderly student-loan debtors who are living off their Social Security checks? Wholesale relief for student-loan borrowers who were ripped off by the for-profit college industry. Senator Warren joined 22 other Democratic Senators in a letter to Secretary of Education John King asking the Department of Education to grant broader relief to the 35,000 students who were enrolled at one of ITT Tech campuses when ITT closed and filed for bankruptcy. But that letter is almost completely incoherent and doesn't propose real relief. DOE should forgive the loans of all the people who took out student loans to pay for ITT programs. Giving former students longer to file for loan forgiveness under DOE's "closed school" regulations (as the Democratic Senators proposed) does not go nearly far enough. Amending the Bankruptcy Code to allow distressed student-loan debtors to discharge their federal student loans in bankruptcy like any other nonsecured debt. Senator Warren co-sponsored a bill to make private student loans dischargeable in bankruptcy, but private loans are only a small part of the overall student-debt crisis--only about 10 percent of total outstanding student-loan debt. The bill does nothing about reforming the Bankruptcy Code to allow distressed student-loan debtors to discharge their federal student loans in bankruptcy. Senator Elizabeth Warren is a phony. She hasn't accomplished anything significant to help solve the student-loan crisis. It is true she supports a bill to make private student loans dischargeable in bankruptcy, but such a law--if passed--is small potatoes. Let's face it. Although Warren portrays herself as a progressive fighting for overburdened student-loan debtors, she will never do anything that would threaten the core interests of the higher education industry. After all, there are 114 colleges and universities in Warren's state of Massachusetts; and most of the professors and administrators who work at those colleges voted for her. Those colleges and universities have to have federal student-aid money to survive. They are like crack addicts waiting for their next federal fix. Warren can talk all she wants about helping student-loan debtors, but she won't do anything that upsets the status quo. And real reform of the Bankruptcy Code to allow people to discharge their federal loans in bankruptcy would definitely upset the status quo. The Democratic Party released its Platform this week, or rather it released a draft marked "Deliberative and Predecisional." The Higher Education plank is only a few hundred words long, but it still adds up to one big pile of horse manure. First, the Democrats promise to cut interest rates on student loans, "thereby preventing the federal government from making billions of dollars in profits from student loans." What was the Platform Committee smoking when it wrote that sentence? Everyone who knows even a little bit about the student-loan crisis realizes that the federal government is not making a profit on student loans. It is incurring huge losses--losses that are growing by the day. Why do I say this? First of all, the student-loan default rate is catastrophic--far higher than the anemic rate the Department of Education publishes every autumn. The Brookings Institution reported that almost half of students who take out loans to attend a for-profit institution default in five years. The five-year default rate for students overall is 28 percent. Moreover, the Obama administration is pushing distressed student-loan borrowers into long-term repayment plans that set monthly payments so low that borrowers are not paying down accruing interest. In fact, more than half of student borrowers are seeing their loan balances go up two years after beginning the repayment phase of their loan--not down. Do the Brookings numbers indicate to you that the government is making a profit on the student loan program? Of course not. And the fact that Senators Elizabeth Warren, Charles Schumer, Barbara Boxer, and now the whole Democratic Party insist that the government is reaping huge profits off the student loan program demonstrates that the Democrats are clueless about the student-loan crisis or that they are lying about it. The Democrats also promise to "simplify and expand access to income-based repayment so that no student loan borrowers have to pay more than they can afford." In other words, the Democrats want to push more and more student borrowers into 20- or 25-year income based repayment plans (IBRPs). Five million people are in IBRPs now; and President Obama wants to enroll 2 million more by the end of next year. Apparently, the Democrats want to increase that number even further. Of course, IBRPs are nothing more than a conspiracy by our government to create a giant class of sharecroppers who will pay a percentage of their incomes to Uncle Sam over the majority of their working lives. And finally, the Democrats pledge to "restore the prior standard in bankruptcy law to allow borrowers with student loans to discharge their debts in bankruptcy as a measure of last resort." I interpret this pie-in-the-sky promise to mean the Democrats will delete the "undue hardship" provision from the Bankruptcy Code. I hope that is a promise the Democrats will keep if Hillary becomes President. If Congress would actually strike the "undue hardship" standard from the Bankruptcy Code, millions of Americans would be lining up to file bankruptcy within a week after the law is changed. And if distressed student-loan borrowers could truly get relief from their oppressive student-loan debt, a half trillion dollars in student loans would be wiped off the books. That scenario would cause the student-loan program to collapse, which would cause hundreds of colleges and universities to close. Our government will never let that happen. Which is why the Democratic Party's Higher Education platform is a big pile of horse manure. Our government has committed a grave injustice on working Americans--young and old--by dispensing student-money recklessly to millions of people who accepted the money in good faith in the hope that they could use their student-loan funds to educate themselves and have better lives. In effect, the government has engaged in predatory lending--something you and I would go to jail for. It has spewed billions of dollars around the United States for the benefit of sleazy colleges--public, private, and for-profit--knowing that nearly half the people who got the loan dollars would not be able to pay off their student loans. And this money got sucked up by the college industry. After lending the money like a benevolent grandmother giving out Christmas checks to her grandkids, the government then morphed into a heartless monster. In fact, all three branches of our federal government have conspired to grind student-loan debtors into the dust. Congress passed laws making it extremely difficult for people to discharge their student-loan debt in bankruptcy. Congress enacted legislation that wiped out the statute of limitations for collection lawsuits against student-loan debtors--essentially destroying a key principle of the common law of equity. The Department of Education allows for-profit colleges to insert "you can't sue me" clauses in their college-admissions materials. The Supreme Court, an assembly of nine old geezers, upheld a federal law that allows the Department of Education to garnish Social Security checks of elderly people who defaulted on their student loans. More than 40 million people carry student-loan debt, and 20 million can't pay it back. 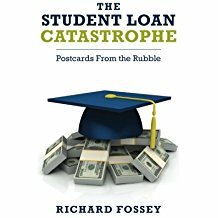 They are trapped like rats while the government and its collection agencies conspire to drive student-loan debtors out of the economy and out of the middle class into a dark world of hopelessness. Our government leaders pretend to be sympathetic. Senator Elizabeth Warren and Senator Charles Schumer coo soothingly about lower interest rates. President Obama spins out one long-term repayment plan after another. Secretary of Education Arne Duncan issues press releases announcing lower default rates, knowing that DOE is cooking the books. This scheme--driven by the greed and indifference of higher-education leaders--cries out for justice, for a return to common decency. And a few people, like Peter Finch's character in the movie Network, have stood up and said, "I'm mad as hell, and I'm not going to take it anymore." Going into the bankruptcy courts, often without attorneys, a few intrepid souls have applied to have their student loans discharged in bankruptcy. Not all of them have been successful, but all have shown great courage. Alethea Lamento, single mother of two, who was working full time but who was forced to live with relatives because she did not make enough money to house her family. A bankruptcy court discharged her student loans over the objection of the Department of Education. George and Melanie Johnson, a married couple with two children who lost their home in foreclosure and who defeated Educational Credit Management Corporation in an adversary proceeding in Kansas. And they did it without a lawyer! Bradley Myhre, a quadriplegic working full time but did not make enough money to support himself because he was required to pay a fulltime caregiver just to feed and dress him and transport him back and forth to work. The Department of Education refused to forgive his student loans, but Myhre beat DOE in an adversary proceeding. Alexandra Acosta-Conniff, an Alabama school teacher and single mother of two, who went into the bankruptcy court without a lawyer and discharged student-loan debt over the opposition of Educational Credit Management Corporation. Ronald Joe Johnson, a grandfather in his early 50s who took out student loans in the early 1990s to pursue a college degree he was unable to complete and is now living with his wife on about $2,000 a month. Unfortunately, Johnson did not have a lawyer, and the Department of Education persuaded a bankruptcy judge not to discharge Johnson's student loans. Michael Abney, a single father of two with a record of homelessness who is living on less than $1200 a month, in spite of the fact he is working fulltime as a delivery driver. Acting as his own attorney, he defeated the U.S. Department of Education in a Missouri bankruptcy court. All these people are heroes, as brave in their own way as the farmers who defied the British army on Concord bridge in 1775, as brave as the heroes of the Alamo, as brave as the Okies who were driven off their farms during the Great Depression and took their families to Oklahoma in search of a better life. Let us hope these heroes will inspire others to take the brave step of going into the bankruptcy courts to throw off their student-loan debt. With each pasisng months, the bankruptcy courts are growing more sympathetic. Racist hiring at the University of Louisville: Does it matter? The Department of Physics and Astronomy announces a tenure-track assistant professor position that will be filled by an African-American, Hispanic American or a Native American Indian [sic]. Let's give the University of Louisville credit for at least being honest. Most American universities, both public and private, now take race into account when hiring faculty and admitting students. In fact, in Gratz v. Bollinger, one of the Supreme Court's seminal opinions on affirmative action, Justice Ruth Ginsburg argued in a dissenting opinion that the courts should allow universities to admit students based on race because they will do it anyway, even if the Supreme Court rules that it is a constitutional violation. Let them do it openly, Ginsburg counseled, rather than force them do it with winks and subterfuge. So what difference does it make if the University of Louisville decides that whites and Asians are not eligible for a faculty position in the Physics Department? On one level, it's no big deal. 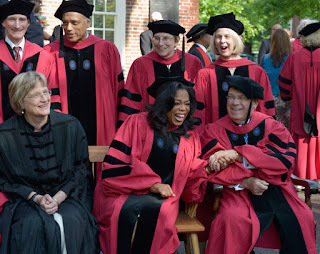 Twenty-five years go, when I was a doctoral student at Harvard Graduate School of Education, it was well known that only minority students would be admitted to the staff of the Harvard Educational Review. In fact, one faculty member told me candidly that the Harvard Educational Review was "a racial ghetto." I applied, and I was not selected. But being rejected by the Harvard Educational Review had no major impact on my life. I feel quite confident that I have published more scholarly work than all the students in my HGSE doctoral cohort put together--certainly more than all the students who were on the Harvard Educational Review when I was at Harvard. Likewise, the whites and Asians who won't be hired for a Physics professor's position at the University of Louisville will probably find other jobs. And certainly, greater diversity on America's college campuses is good thing. We need more African American and Hispanic professors, and we need more minority students. But here's the thing. Academia's obsession with race, gender and sexual orientation has diminished higher education as a moral enterprise. First of all, most racial and gender preferences are done dishonestly. The University of Louisville goofed when it said in print that whites and Asians would not be considered for a particular faculty position. In fact, a university spokesperson said the job advertisement was an "error" and muttered some gobbledygook about the university's commitment to diversity. But in fact, at least some people at the University of Louisville wanted to make a hiring decision based on race. You can call that diversity if you want, but that's racism. And this dishonesty has permeated every aspect of American higher education. The universities are dishonest about their racism, dishonest about their tuition prices, and many are dishonest about the employment prospects of their graduates. Moreover, this morbid obsession with race is eroding the rigor of higher education. Just last year, students at three prestigious law schools--Harvard, Columbia and Georgetown-- asked to postpone their examinations because they were so upset about the racially charged shooting death of an African American in Ferguson, Missouri that they couldn't study for their exams. Think about that. People trained at our top law schools are so sensitive that they can't do their school work because they are upset by current events. Who would want to hire a lawyer who gets the vapors from reading the morning newspaper? And occasionally, racial fixations at our elite universities have become downright embarrassing. Awhile back, Harvard Law School claimed to have a Native American on its faculty. A real live Indian! And who did that Indian turn out to be? Elizabeth Warren, who said vaguely that she thought her grandmother might have been a Cherokee! Who cares, in an authentic academic environment, whether a law professor is one sixteenth Cherokee? The fact that Harvard Law School thought it was legitimate to claim it had a Native American faculty member based on Elizabeth Warren's unverified assertions tells you all you need to know about the intellectual and moral rigor of Harvard Law School. Eventually, young Americans are going to ask themselves why they bother to enroll in these flim-flam shops--these palaces of hot air that obsess on race and blather about academic freedom while charging outrageous tuition prices that most people can't pay without taking out student loans. Do you believe the federal government is making a profit off the student loan program? You do? Then I have some beautiful beachfront property in southwestern Oklahoma I would like to sell you. 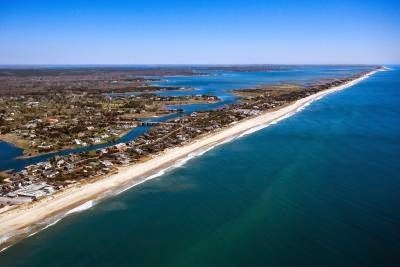 That's right--Caddo County, Oklahoma is going to be the next Hamptons! Beachfront lots are still available! Some people actually believe that Uncle Sam is making a bundle off the federal student loan program. Senator Elizabeth Warren is of that mind. She once said that the government's profits from the student-loan program are "obscene." And last February, Senator Warren and five other U.S. Senators wrote Secretary of Education Arne Duncan a scolding letter charging the Department of Education with making a profit off of student loans. The Senators accused the government of overcharging student borrowers and "pocketing the profits to spend on unrelated government activities." Senator Elizabeth Warren: Government profits on student loans are "obscene"
And apparently, the policy wonks over at the Brookings Institution also think the student loan program is producing a profit for the federal government. Matthew Chingos recently published a Brookings paper proposing to significantly lower interest rates on student loans while assessing student borrowers a fee that would be placed in a "guarantee fund" to cover student loan defaults. Chingos argued that his plan would keep the government from profiting from student loans while having a contingency fund to cover the cost of defaults. Theoretically (and only theoretically), the government is making a profit on student loans. The government's cost for borrowing money is about 1.9 percent on ten-year Treasury Bonds . And the government is currently loaning money to undergraduate students at a 4.7 percent interest rate. If all students paid back their loans, the government would indeed make a handsome profit. But, as everyone knows, a high percentage of students are defaulting on their loans. According to Chingos, the government estimates only 0.6 percent of students will default, but of course that is absurd. Every year, for the past 20 years, the Department of Education has been issuing reports on the percentage of students in the most recent cohort of borrowers who default within two years of beginning the repayment phase of their loan. Over that period, that number has never been lower than about 5 percent. Last year, the figure was 10 percent--16 times higher than the DOE default estimate that Chingos cited. In a Forbes.com article, Jason Delisle and Clare McCann reported that the government estimates that about 20 percent of student-loan borrowers will eventually default on their loans--that's 30 times higher than the rate cited by Chingos. And let's not forget A Closer Look at the Trillion, the Consumer Financial Protection Bureau's 2013 report on the federal student loan program. CFPB reported that 6.5 million out of 50 million outstanding student loans were in default--13 percent. Need more data? The Federal Reserve Bank of New York issued its most recent report on household debt in February 2015. The Bank found student loan delinquency rates worsened in the 4th quarter of 2014, with 11.3 percent of aggregate student-loan debt being 90 days delinquent or in default. (up from 11.1 percent in the previous quarter). Just one more tidbit of information. The Department of Education recently admitted that more than half of the student-loan borrowers who were signed up for income-based repayment plans, the government's most generous loan-payment option, had dropped out due to failure to file their annual personal income reports on time. That is a clear sign that many student-loan borrowers are so discouraged that they aren't bothering to file the necessary paperwork to keep their loan status in good standing. I am astonished that Michael Chingos and Senator Warren would publicly state that the government is making a profit off the student-loan program when it so clearly losing money. What's going on? Tragically, our politicians and policy analysts simply can't face the fact that the student-loan program is out of control. It is so much easier to demand a pseudo reform based on the fantasy that the government is making money off the student loan program than to face reality.